Aquarium of the Pacific: 100 Aquarium Way, Long Beach (562/590-3100) www.aquariumofpacific.org The aquarium takes visitors on a journey through the Pacific Ocean where they discover more than 12,500 animals representing nearly 500 different species as they explore three main exhibit galleries: the local waters of Southern California and Baja, the cold waters of the Northern Pacific and the warm clear waters of the Tropical Pacific. They experience the sights, sounds and the textures of the world’s largest body of water with Discovery Labs and living interactive exhibits. Later this year New Pacific Visions 29,000-square foot two story structure wing will open to the public housing a state of the art immersive theater, exhibition space, art gallery and several new live animal exhibits. Visions will provide a platform t integrate the arts and sciences and will offer visitors innovative ways to explore their impact on planet Earth and the ocean and how to reduce it. Annenberg Space for Photography: 2000 Avenue of the Stars, Century City (213/403-3000) www.annenbergspaceforphotography.org This cultural destination is dedicated to exhibiting compelling photography conveying a range of human experiences. The intimate environment features state of the art, high definition digital technology as well as traditional prints by some of the world’s most renowned and emerging photographers. Exhibits change three times a year. Open Wed.-Sun. Free admission. Autry National Center of the American West: 4700 Western Heritage Way, Griffith Park, Los Angeles (323/667-2000). www.theautry.org $54 million museum is one of the most comprehensive repositories of western history in the world and includes historic firearms, tools, conveyances, equipment, clothing, toys and furnishings of both famous and lesser known people of the western landscape. Included are Frederic Remington and Charles Russell pieces. Regularly changing special exhibitions and special events. Open Tuesday – Sunday. Broad Contemporary Art Museum – BCAM: Los Angeles Country Museum of Art, 5905 Wilshire Bl., Los Angeles, (323/857-6000) Designed by Renzo Piano, this three story, 72,000 square foot gallery building is dedicated to art from 1945 to the present. The Broad Art Foundation works closely with LACMA to arrange rotating loans to BCAM from the Broad collections and exhibitions also feature loans from other institutions and collections as well as from LACMA’s own contemporary collection. California Science Center: 700 State Dr., Los Angeles (323/724-3623) www.californiasciencecenter.org The first-class Science Center offers fun and informative permanent exhibits presented in interactive worlds. The Center also features fantastic special exhibits that change regularly. Check out the Creative World, Air and Space Exhibits, Ecosystems, the Science Court and IMAX Theater. Explore the space shuttle, Endeavour. Take a ride on the high wire bicycle or visit the underwater world with divers offering information on what lies beneath the surface in the kelp beds filled with fish of every description. Through hands-on experiences visitors learn about human inventions and innovations, the life processes of living things and more. Catalina Island Land & Sea Adventure: Santa Catalina Island Company (800/626/1496) www.visitcatalinaisland.com A 1/2 day adventure tour takes guests in a rigid-hulled inflatable boat from Avalon around Catalina Island’s wild and rugged coast to Catalina Harbor. After lunch in the community of Two Harbors, guests return to Avalon via a scenic coastal route in a bio-fueled convertible H1 Hummer. 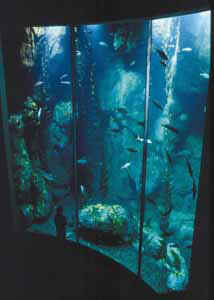 Guests will see buffalo, foxes, dolphins, sea lions and sometimes whales. April-October. Crafted: Port of Los Angeles, 110-112 E. 22nd St., San Pedro 310/732-1270) www.craftedportla.com Newly opened, Crafted is a permanent indoor crafts marketplace, filled with exquisite crafts by local artisans, gourmet food concessions, live music and entertainment. Vendors display every artistic tradition including jewelry, ceramics, textiles, furniture and culinary creations. In the market for tea? There are nearly 100 samples to choose from. Mike’s Pens and Things offers unique, beautifully designed pens. 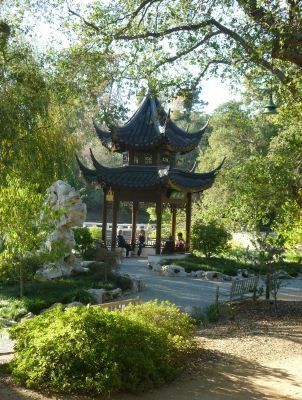 Descanso Gardens: 1418 Descanso Dr., La Canada (626/952-4400). A floral wonderland blooming all year. Alternating seasons of ornamental plants. Haven for more than 150 species of birds. Includes Oak Forest, Camellia Forest, Rose Garden, Lilac Garden, Japanese Garden, and Ancient Forest among others. Enjoy lunch in the gardens, a respite in the Tea House and explore the gift shop. Musical events held on the premises during the summer. Dinosaur Hall: Natural History Museum of Los Angeles, Exposition Park, Los Angeles www.discoverlosangeles.com Dinosaur Hall rivals the world’s leading dinosaur halls in sheer volume of individually displayed fossils; the size and extraordinary nature of the major mounts, including the world”s only T. Rex growth series. The exhibition features more than 300 fossils, 20 full body specimens, manual and digital inter-actives and large format video. Standouts include an imposing Triceratops, a 68 foot long necked Mamenchisaurus and giant sea reptiles. Dolby Theater: 6801 Hollywood Bl., West Hollywood, (213/480-3232) www.ticketmaster.com Home of the Oscars Award Ceremony. Guided theater tours are offered daily with rare production and performance schedule exceptions, from 10:30 am to 2:30 p.m., departing every 30 minutes. Doheny Mansion Public Tours: 10 Chester Place, downtown Los Angeles, just north of USC www.msmcalums.la.edu The mysterious 1898 mansion of Edward Doheny is now open for public tours. Doheny drilled the city’s first oil well and became one of America’s richest men through petroleum deals and later got ensnared in the Teapot Dome, one of America’s largest political scandals. Fowler Museum: UCLA Campus, 301 Charles E. Young Drive North, Westwood (310/825-4361) www.fowler.ucla.edu The only museum in Los Angeles exclusively dedicated to exploring non-Western arts and cultures, past and present. Exhibitions and programs cover a wide range of global artistic expression, from historic traditions to contemporary works by artists from Africa, Asia, the Pacific, Native and Latin America, and at their respective diasporas. Free. foothills of the Santa Monica Mountains off the 405 freeway, the 110-acre campus features the J. Paul Getty Museum, extraordinary gardens and distinctive buildings which house the Getty Research Institute for the History of Art and the Humanities, the Getty Conservation Institute, the Getty Education Institute for the Arts, the Getty Information Institute and the Getty Grant Program. The magnificent architecture of the Getty Center housing a variety of extraordinary collections also serves as a gathering place on its fountain lined grand terrace. Admission is free but there is a parking fee. Getty Villa: Pacific Coast Highway, Malibu (310/440-7300) www.getty.edu The Getty Villa ‘s setting, collections, and programs are woven together to create an integrated educational and cultural institution to introduce the public to the arts and cultures of antiquity, foster the study of the classical world and its relation to later cultures, expose a wide audience to great works of art, engage in conservation of antiquities and train young conservators to care for artifacts and sites around the world, and pursue scholarly research in related areas. Admission is free but there is a parking fee. Reservations are necessary. GRAMMY Museum at L.A. Live: Corner of West Olympic Bl. and Figueroa ., downtown Los Angeles (213/765-6800) www.grammymuseum.org This four story, 30,000 square foot museum celebrates music’s most prestigious award. It is a one of a kind experience that invites visitors to look behind the curtain. From free music lessons to intimate conversations with music’s brightest stars, the GRAMMY Museum engages, informs and inspires visitors of all ages. Situated on four levels with handicap access, the museum recalls the best of the best in music including composers, musicians and entertainers, the evolution of sound for the listening audience and the political influence of many in the music field. An enlightening and enjoyable experience. 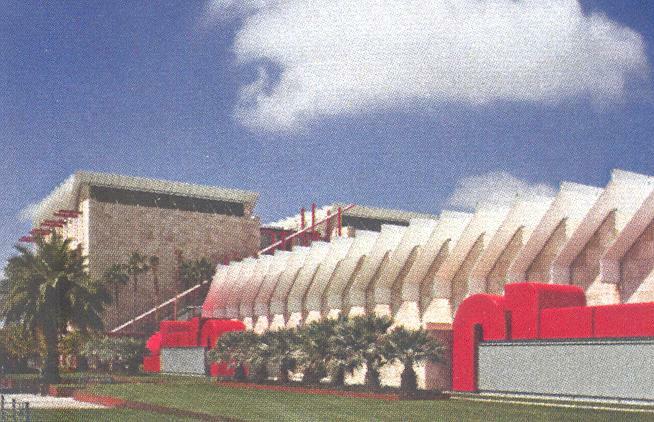 Hollywood Bowl Museum: 2301 N. Highland Ave., Hollywood (213/ 850-2058). A celebration of the historical and cultural importance of the Hollywood Bowl, with exhibits highlighting performers, conductors, the sixty-three year history of the Bowl and its outdoor setting as well as the history of the performing arts in Los Angeles. collections, library and botanical gardens. The library offers a rich collection of rare books and manuscripts in the fields of British and American history and literature. The galleries contain comprehensive collections of British and French art of the 18th and 19th centuries, American art and Renaissance paintings. Two of the most famous holdings are Blue Boy and Pinkie. The gardens cover 130 acres of beautiful and unusual flora. The most recent addition to the ever expanding complex is the Helen and Peter Bing Children’s Garden which encourages intellectual and physical engagement in magical, thought-provoking surroundings. A perfect place for hands-on exploration. Featuring a superb new 12-acre Chinese Garden of Flowing Fragrance, one of the largest, finest and most authentic classical Chinese-style gardens outside of China. Kidspace Children’s Museum: 480 North Arroyo Ave., Pasadena (626/449-9144) www.kidspacemuseum.org The mission of Kidspace is to enrich the lives of children. The Museum offers interactive exhibits, programs and indoor and outdoor learning environments that promote imagination, exploration and discovery. 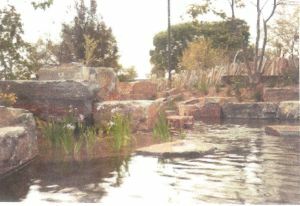 The museum also includes more than two acres of gardens, waterways and outdoor learning environments. Twenty two exhibits include the Raindrop Climber, The Dig, Trike Tracks, Harvest Corner and Nature Exchange. Special events include Rosebud Parade, Winter Wonderland, and Pumpkin Festival. The museum is a whimsical, wonderful place geared towards younger children. L. A. Live: Adjacent to the Staples Center, Olympic Boulevard off the 110 Harbor Freeway. Features cinemas, theatre, museums, a variety of restaurants including the ESPN Zone where sport is king, The Farm, Flemings, Lawry’s, Yard House Rock ‘N Fish, Wolfgang Puck’s Bar and Grill, Rosa Mexicano, Trader Vic’s and Katsuya and more. L.A. Sports & Entertainment District: In development, this massive new addition to downtown adjacent to the Los Angeles Convention Center, LASWD aims to promote a 24 hour LA experience. The development, encompassing 4-million square feet, includes a 1, 200 room convention headquarters hotel, a 7,000 seat state of the art live theater, an outdoor plaza, restaurants, shops, housing, office space and an extension of the Convention Center. Leimert Park: From Harbor Fwy head west via Martin Luther King Jr. Bl. and onto 43rd. From Santa Monica Fwy. head south on Crenshaw and turn left onto 43rd. 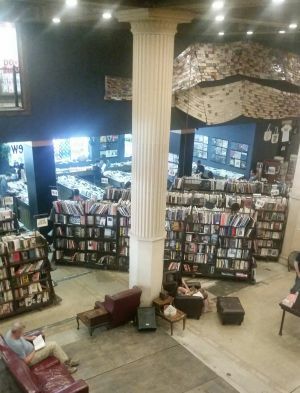 The African American Greenwich Village of Los Angeles includes the History Banner Project and the Esso Won Bookstore, one of the largest collections of African American literature in the country. Sundays feature the Leimert Park Drum Circile at 43rd Place and Crenshaw from 3pm-dusk. Visit Africa by the Yard and Zabbezi Bazaaar on Degnan Boulevard. Los Angeles Conservancy Walking Tours: www.laconservancy.org/tours Discover the architectural gems of historic Los Angeles with Saturday morning walks (generally lasting for 2 1/2 hours). Tours include: Angelino Heights, Art Deco, Broadway Theatres, City Hall, Downtown’s Evolving Skyline, Highland Park, The Historic Core, Little Tokyo, San Pedro, Historic Spring Street: Wall Street of the West, Union Station and USC. Not all tours are offered every Saturday. There is also a tour of the historic Biltmore Hotel on the second and fourth Sundays of the month at 2 p.m. Advance reservations are generally required. Tours cost $10. Los Angeles County Museum of Art: 5905 Wilshire Bl., Los Angeles (323/857-6000) www.publicinfo@lacma.org With 100,000 objects dating from ancient times to the present LACMA is the largest art museum in the western United States. 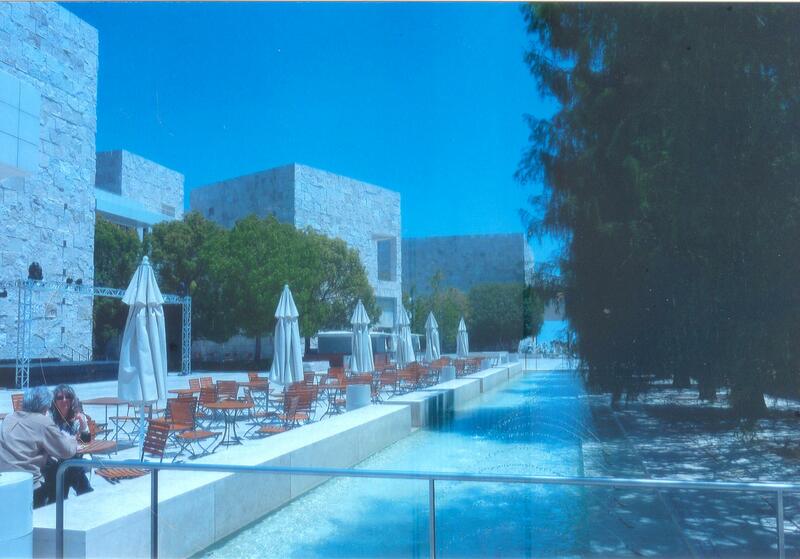 It’s eight building complex is located on 20 acres halfway between the ocean and downtown. The collections encompass the geographic world and virtually the entire history of art. Its Asian art holding are housed in part in the Bruce Goff-designed Pavilion for Japanese Art. Latin American art ranging from pre-Columbian masterpieces to works by leading modern and contemporary artists and of the Islamic world. The two newest additions designed by architect Renzo Piano include the Broad Contemporary Arts Museum and the Lynda and Stewart Resnick Exhibition Pavilion. Ever changing world class exhibitions. Los Angeles Museum of the Holocaust: Pan Pacific Park, 100 South The Grove Drive, Los Angeles (323/651-3707) www.lamoth.org This museum, founded in 1961 by a group of Holocaust survivors has a new home in Pan Pacific Park. The stunning architecture houses extensive archives, interactive exhibits, an audio visual room, the largest collection of Erich Lichtblau-Leskly’s original ghello diary collection paintings, photographs of important figures of the Holocaust. Tours offer information about the devastating impact the Holocaust had on European Jewish communities as well as other discriminated groups including Roma-gypsies, Jehovah’s Witnesses, homosexuals, political dissidents and the physically and mentally disabled. Included in the archives are diaries, unpublished manuscripts, documents of the Nazi Party and the German State, publications of the Allied Administration in occupied Germany, Resistance Groups’ reports and art originating from the ghettos and camps and more. New Natural History Museum North Campus. plant their own gardens and the 1913 Garden featuring flowers and pollinators blooming year-round are the beginning of a beautiful and engaging North Campus “living laboratory.” The new master plan includes the creation of the Otis Booth Pavillion — the new man entrance to the Museum and the visual centerpiece of North Campus. Habitats of butterflies, birds, bugs and plants with ponds and streams and umbrella shaded tables and chairs. Also a new underground car park. It’s a beautiful experience. Los Angeles Music Center: 135 N. Grand Ave., Los Angeles (213/972-7483). Los Angeles’s newest landmark, the extraordinary Walt Disney Concert Hall designed by Frank Gehry is set just across the street from the elegant complex of three theaters crowning the mall of the Civic Center. Dorothy Chandler Pavilion, seating 3,190, Mark Taper Forum, seating 742, and the Ahmanson Theatre, seating 2,071. All theaters are open year-round, featuring a variety of productions from avant-garde drama to light opera, symphonies to ballet. Free tours of Music Center facilities are available. Los Angeles Zoo: Griffith Park at Junction of Golden State and Ventura Fwys., Los Angeles (213/666-4650). 113 acres of landscaped hilly terrain. The zoo is divided into five continental areas which provide a natural setting for more than 2,000 mammals, birds and reptiles. Adventure Island offers an educational and entertainment experience. New Pachyderm Forest for the Zoo’s elephants, hippos and other animal . Madame Tussauds: www.madametussauds.com/hollywood Located adjacent to the historic Grauman’s Chinese Theatre at 6933 Hollywood Boulevard, guests can interact with their favorite celebrities, getting up close, taking pictures, in the interactive sets and themed areas. Visitors experience the glamour of Hollywood with lifelike figures of the famous and infamous. Marciano Art Foundation Exhibitions: 4357 Wilshire Bl., Los Angeles (424/204-7555) www.marcianoartfoundation.org New museum founded by the Marciano brothers features special projects by artists working in all areas of artistic production. MAF aims to encourage curiosity and contemplation of art and the ways it impacts and enriches our lives. Free admission with advance reservations only. Nethercutt Automobile Collection/ Museum: 15151 Bledsoe St., Sylmar (818/364-6464) info@nethercuttcollection.org An exceptional collection showcasing more than 130 of the world’s greatest antique, vintage, classic and special interest automobiles including many of the top winners of the Pebble Beach Concours d’Elegance. Just steps outside is a perfectly restored steam locomotive and Private Car which was owned by the daughter of Santa Anita Race Track founder, E. J. “Lucky” Baldwin. In a separate building available by guided tour only with reservations (well in advance) required the cream de la cream of the car collection may be viewed in the Grand Salon, a magnificent setting of marble and crystal along with, in a separate area, collectors items of furniture, Lalique hood ornaments, one of a kind musical instruments, etc. Norton Simon Museum: 411 W. Colorado Bl., Pasadena www.nortonsimon.org One of Los Angeles finest, the collections include European art from the 14th -19th centuries, modern art, contemporary art, sculptures and tapestries, Asian sculptures, paintings and woodblock prints. The sculpture gardens display the works of many sculptors including Rodin in a landscape setting surrounding a picturesque pond. The Museum also features a theater which shows film programs daily and hosts symposia, lectures and dance and musical performances. The museum’s distinctive curvilinear exterior facade is faced in glazed tiles in varying shades of brown made by renowned ceramic artisan Edith Heath. Pacific Island Ethnic Museum: 695 Alamitos Ave., Long Beach (562-216-4120) www.pieam.org Recently opened, the art of the South Pacific is featured in an island village setting. The museum features a traditionally peaked building and lush sculpture garden with naive South Pacific plants. The museum houses sculptures, textiles, paintings, jewelry and carvings from the Marshall, Samoa, Guam, Fiji and Tongan islands, representing more than eight nationalities. Traditional dance performances and interactive cultural demonstrations and learning programs. Nearby is the Museum of Latin American Art. Paley Center for Media: 465 N. Beverly Dr., Beverly Hills (310/786-1000). Saluting the world of radio and television with thousands of programs available on the premises for visitors to review. Changing exhibitions, series, gallery exhibits and seminars from comedy and rock ’n roll to news and public affairs. At the newly reopened Petersen Automotive Museum, the Precious Metal exhibition. (323/930-cars) www.petersen.org The magnificent newly reopened museum houses galleries on three floors representing the history, industry and artistry of the automobile plus a comprehensive display of two wheeled modes of transportation and racing. The History Floor (3) takes visitors into a trip through the past as they explore the history of the automobile. 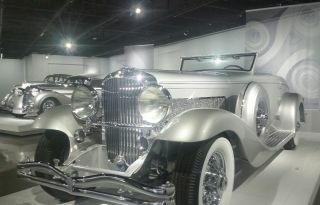 The Hollywood Gallery includes famous automobiles from equally famous films. On the Industry Floor (2), visitors explore the diversity of automotive design and technology and view cars that have been modified for speed and efficiency. One of the most stunning display is the Precious Metal exhibit, a gathering of the world’s rarest and most exotic cars — all finished in silver. The Alternative Power exhibit showcases the history and future of alternative fuel vehicles. The Motorcycle exhibit features nearly two dozen of the fastest, rarest, most beautiful or sometimes oddest two wheeled vehicles from history. And don’t forget the Hot Rod Gallery celebrating Hot Rod Magazine, Petersen’s first publication. On the first floor, visitors will oooh and ahhh over the most artfully designed vehicles from history, often regarded as rolling sculpture. The final exhibition, the BMW Art Car Collection features cars as canvases designed by world famous artists. Martial Arts History Museum: 2319 W. Magnolia Bl., Burbank (818/478-1722) www.martialartsmuseum.com The first museum of its type in the world, the facility — which relocated from Santa Clarita — boasts artifacts from various martial arts though East Asia including a set of 12th Century Samurai armor. The museum also features numerous props from prominent martial arts films. Museum of Tolerance: Simon Wiesenthal Plaza, 9786 W. Pico Bl., Los Angeles (310/553-8403). The Simon Wiesenthal Center’s Beit Hashoah Museum of Tolerance is a unique 165,000 sq. foot experiential, interactive museum focusing on personal prejudice, group intolerance, the struggle for civil rights in America, 20th century genocides, culminating with a major exhibition on the Holocaust. Archives, multimedia learning center designed for individualized research on World War II, the Holocaust and anti-Semitism, a floor for temporary exhibits on the museum’s theme’s, a 324-seat theater, 150-seat auditorium, outdoor Memorial Plaza, museum shops and cafe. Docent-led tours. Hours: Mon.-Thurs., 10 a.m.-4 p.m.; Fri., 10 a.m.-1 p.m.; Sun., 11 a.m.-5 p.m. Closed Saturdays and holidays. Advance reservations only available at museum ticket counter. Call for special programming schedules and closings. Handicapped accessible. Validated underground parking. 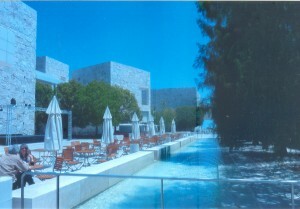 Gift shops and cafeteria on premises. Old Town Pasadena: Covering 10 streets and over 20 alleys bordered by Arroyo Parkway on the east, Pasadena Ave., on the west, Union Street on the north and Green Street on the south. A 10-block renovated retail area located in downtown Pasadena, dates back to the 1890’s. Clothing stores run from elegant to grunge, boutiques from antique to modern, and choices of cuisine in over 75 restaurants vary from Italian, Chinese, French, Mexican, Yucatan, Malaysian, American and German. Richard Nixon Presidential Library & Museum: 18001 Yorba Linda Bl., Yorba Linda www.richardnixonlibrary.com The newly redone library features 30 unique multi-media experiences, 11 original films, 12 custom digital interactives, 10 curated archival film sequences, more than 600 photographs and 8,000 square feet of wall murals.ay-to-day operations. No two tours are exactly alike due to spontaneous nature of production activity. Visitors should not be surprised if they suddenly encounter one of their favorite celebrities. After all, it is their workplace! Monday-Friday, every hour on the hour from 9 a.m.-2 p.m. $15 per person. San Antonio Winery: 737 Lamar St., Los Angeles (323/223-1401) www.sanantoniowinery.com . The historic San Antonio Winery offers guided tours and dining at the Maddalena restaurant. Open daily from 10am-5pm. The winery is located five blocks west of the I-5 freeway. Skirball Cultural Center: 2701 N. Sepulveda Bl., West Los Angeles (310/440-4500) www.skirball.org This institution is dedicated to exploring the connections between Jewish heritage and the vitality of American democratic ideals. It has many outreach programs and welcomes people of all religions and ethnicities. Included in its programs are museum exhibitions, musical events, education and the unique Noah’s Ark. This 8,000 square foot gallery takes young visitors and their families on an ark voyage from a stormy world to dry land. Hundreds of imaginative life-sized animals made totally of recycled items fill the space for children to touch, climb on and explore. The message that goes with the exhibit is that we can all get along despite our differences. The Broad, New Contemporary Art Museum: 221 S. Grand Avenue, Los Angeles (across from the Disney Concert Hall) (213/232-6200) www.thebroad.org Los Angeles’s most recent cultural addition, the museum is home to the nearly 2,000 works of art in The Broad Art Foundation and their personal collections which are among the most prominent holding of postwar and contemporary art worldwide. The 120,000 square foot building features two floors of gallery space. There is also a 24,00 square foot public plaza adjacent to the museum. Open free to the public 47 hours a week, six days a week, Tuesday through Sunday. For visitors who wish to ensure admission on their preferred date and time The Broad provides advance free ticketing online. The Wende Cold War Museum: 10808 Culver Bl., Culver City www.wendemuseum.org The 1949 National Guard Armory Building has begun a second life as the headquarters for this newly opened museum preserving and displaying a vast collection of Soviet and East German artifacts to illuminate the complexities of our fraught Cold War past. The building housing the collection paradoxically designed to fight the enemy showcases the objects of the enemy. The philosophy of the newly opened museum is to allow people to think about different layers of history. Angeles www.lastbookstorela.com Absolutely one of a kind, this memorial to books is housed in a massive and imaginative retail space that is a mix of Victorian drawing room, sci-fi spectacle and artist loft bohemianism. It’s all part of the mission to keep the paper and ink book business alive in an era of e-readers and digital downloads. They continue to buy, sell and trade. Unique and very special. Open daily. Tournament House and Wrigley Gardens: 391 S. Orange Grove Bl., (562/449-4100) Built shortly after the turn of the century, the mansion, situated on a 4.5 acre estate, was once owned by chewing gum magnate William Wrigley, Jr. Guided tours are given Thursdays, February through August. 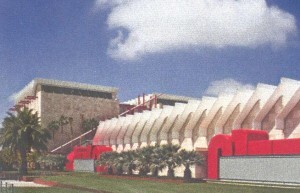 This serves as the present home of the Tournament of Roses. Universal Studios Hollywood: Hollywood Freeway at Lankershim or Cahuenga, Universal City (818/622-3801). www.universalstudioshollywood.com A behind-the-scenes look at the world’s busiest motion picture and television studio and theme park. Includes an excursion through Universal’s famed 420-acre front and back lots where guests aboard signature trams equipped with flat-screen Hi-Definition monitors and digital playback systems experience attractions. Includes a full-day movie-based theme park and Studio Tour, the CityWalk entertainment, shopping and dining complex, the Universal CityWalk Cinemas and the “5 Towers” state of the art outdoor concert venue. World class rides and attractions include Fast & Furious–Supercharged Open daily except Thanksgiving and Christmas. Wallis Annenberg PetSpace: 12005 Bluff Creek Drive, Playa Vista This unique space is dedicated to pet adoptions, educational programming and the science behind the human-animal bond. For animal lovers, come by and learn about this unique service which includes high tech adoption platforms, scientific information about why pets have evolved to be our best friends. Health and rescue services for dogs, cats and rabbits using advanced technologies. Community spaces, meetings and ongoing workshops and programs . Warner Bros. Studios VIP Tour: 4000 Warner Bl., Burbank (818/954-1744). An entertaining two-hour tour of a working movie and TV studio where there is no script and nothing is staged. Visitors observe actual filming whenever possible. Watts Towers Art Center: 1727 E. 107th St., Los Angeles (213/847-4646) www.culturela.com Built by Italian African American immigrant Simon Rodia, these 17 structural pieces are made from steel pipes and rods and embedded with pieces of porcelain, tile, seashells, ceramics and glass. Rodia spent 30 years building these towers the tallest of which stands at 99.5 feet. Will Rogers State Historic Park: 1501 Will Rogers State Park Road, Pacific Palisades (off Sunset Bl.) (310/454-8212) www.parks.ca.gov In 1944, the widow of Will Rogers deeded the 186-acre ranch, which was formerly their home, to the State of California for public use and enjoyment. This beautiful park includes many hiking trails, wide open grassy lawns, picnic areas, polo field and the historic Will Rogers home where tours are offered. Call in advance for schedule..